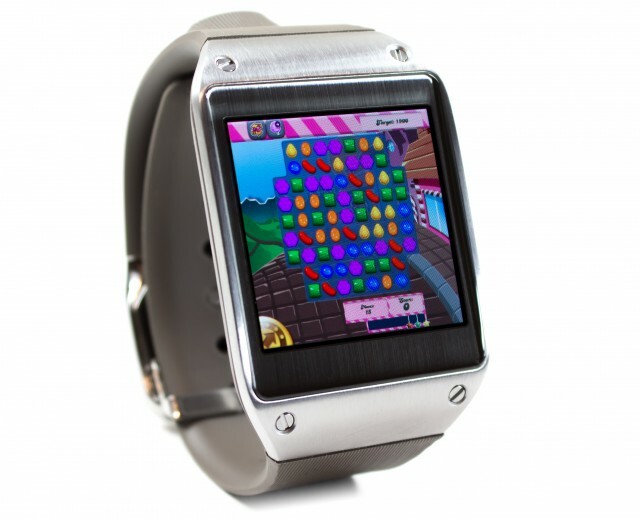 Are you one of the many who feel that the Galaxy Gear smartwatch from Samsung is lacking application support? As we saw in our review of the device, third party app support is pretty bad for Galaxy Gear, but with some tinkering, you can get full-sized Android apps working just fine on the watch. As detailed by Arstechnica, apps that require no Internet connection work just fine, although you may have troubles finding apps that look decent on the 1.63″ display. In terms of what it can handle, the little machine does pack an 800MHz processor, as well as 512MB of RAM, allowing it to work its way through a variety of apps. The crew tested out Candy Crush, a music app, and a few others that worked flawlessly. What’s nice about the process is that you don’t need to be a rocket science major to figure out how to run ADB on your computer. Once you enable USB debugging, which is right under the Settings menu on Gear, then install the required Samsung drivers on your computer, and pushing apps with a single line command is as easy at it gets. For more info on how to get this set up on your Galaxy Gear, check out the full article by following the via link below.